The website located at californianational.party (the “Site”) is a copyrighted work belonging to the California National Party (“Party”, “us”, “our”, and “we”). Certain features of the Site may be subject to additional guidelines, terms, or rules, which will be posted on the Site in connection with such features. All such additional terms, guidelines, and rules are incorporated by reference into these Terms. 1.1 Account Creation. In order to use certain features of the Site, you must register for an account (“Account”) and provide certain information about yourself as prompted by the account registration form. You represent and warrant that: (a) all required registration information you submit is truthful and accurate; (b) you will maintain the accuracy of such information. You may delete your Account at any time, for any reason, by following the instructions on the Site. Party may suspend or terminate your Account in accordance with Section 7. 1.2 Account Responsibilities. You are responsible for maintaining the confidentiality of your Account login information and are fully responsible for all activities that occur under your Account. You agree to immediately notify Party of any unauthorized use, or suspected unauthorized use of your Account or any other breach of security. Party cannot and will not be liable for any loss or damage arising from your failure to comply with the above requirements. 2.1 License. Subject to these Terms, Party grants you a non-transferable, non-exclusive, revocable, limited license to use and access the Site solely for your own personal, noncommercial use. 2.3 Modification. Party reserves the right, at any time, to modify, suspend, or discontinue the Site (in whole or in part) with or without notice to you. You agree that Party will not be liable to you or to any third party for any modification, suspension, or discontinuation of the Site or any part thereof. 2.4 No Support or Maintenance. You acknowledge and agree that Party will have no obligation to provide you with any support or maintenance in connection with the Site. 2.5 Ownership. You acknowledge that all the intellectual property rights, including copyrights, patents, trade marks, and trade secrets, in the Site and its content are owned by Party or Party’s suppliers. Neither these Terms (nor your access to the Site) transfers to you or any third party any rights, title or interest in or to such intellectual property rights, except for the limited access rights expressly set forth in Section 2.1. Party and its suppliers reserve all rights not granted in these Terms. There are no implied licenses granted under these Terms. 3.1 User Content. “User Content” means any and all information and content that a user submits to, or uses with, the Site (e.g., content in the user’s profile or postings). You are solely responsible for your User Content. You assume all risks associated with use of your User Content, including any reliance on its accuracy, completeness or usefulness by others, or any disclosure of your User Content that personally identifies you or any third party. You hereby represent and warrant that your User Content does not violate our Acceptable Use Policy (defined in Section 3.3). You may not represent or imply to others that your User Content is in any way provided, sponsored or endorsed by Party. Because you alone are responsible for your User Content, you may expose yourself to liability if, for example, your User Content violates the Acceptable Use Policy. Party is not obligated to backup any User Content, and your User Content may be deleted at any time without prior notice. You are solely responsible for creating and maintaining your own backup copies of your User Content if you desire. 3.2 License. You hereby grant (and you represent and warrant that you have the right to grant) to Party an irrevocable, nonexclusive, royalty-free and fully paid, worldwide license to reproduce, distribute, publicly display and perform, prepare derivative works of, incorporate into other works, and otherwise use and exploit your User Content, and to grant sublicenses of the foregoing rights, solely for the purposes of including your User Content in the Site. You hereby irrevocably waive (and agree to cause to be waived) any claims and assertions of moral rights or attribution with respect to your User Content. 3.5 Feedback. If you provide Party with any feedback or suggestions regarding the Site (“Feedback”), you hereby assign to Party all rights in such Feedback and agree that Party shall have the right to use and fully exploit such Feedback and related information in any manner it deems appropriate. Party will treat any Feedback you provide to Party as non-confidential and non-proprietary. You agree that you will not submit to Party any information or ideas that you consider to be confidential or proprietary. You agree to indemnify and hold Party (and its officers, employees, and agents) harmless, including costs and attorneys’ fees, from any claim or demand made by any third party due to or arising out of (a) your use of the Site, (b) your violation of these Terms or (c) your violation of applicable laws or regulations. Party reserves the right, at your expense, to assume the exclusive defense and control of any matter for which you are required to indemnify us, and you agree to cooperate with our defense of these claims. You agree not to settle any matter without the prior written consent of Party. Party will use reasonable efforts to notify you of any such claim, action or proceeding upon becoming aware of it. 5.1 Third-Party Links & Ads. The Site may contain links to third-party websites and services, and/or display advertisements for third parties (collectively, “Third-Party Links & Ads”). Such Third-Party Links & Ads are not under the control of Party, and Party is not responsible for any Third-Party Links & Ads. Party provides access to these Third-Party Links & Ads only as a convenience to you, and does not review, approve, monitor, endorse, warrant, or make any representations with respect to Third-Party Links & Ads. You use all Third-Party Links & Ads at your own risk, and should apply a suitable level of caution and discretion in doing so. When you click on any of the Third-Party Links & Ads, the applicable third party’s terms and policies apply, including the third party’s privacy and data gathering practices. You should make whatever investigation you feel necessary or appropriate before proceeding with any transaction in connection with such Third-Party Links & Ads. 5.2 Other Users. Your interactions with other Site users are solely between you and such users. You agree that Party will not be responsible for any loss or damage incurred as the result of any such interactions. If there is a dispute between you and any Site user, we are under no obligation to become involved. Subject to this Section, these Terms will remain in full force and effect while you use the Site. We may suspend or terminate your rights to use the Site (including your Account) at any time for any reason at our sole discretion, including for any use of the Site in violation of these Terms. Upon termination of your rights under these Terms, your Account and right to access and use the Site will terminate immediately. Party will not have any liability whatsoever to you for any termination of your rights under these Terms, including for termination of your Account. Even after your rights under these Terms are terminated, the following provisions of these Terms will remain in effect: Sections 2.2 through 2.5 and Sections 3 through 8. 10.2 Dispute Resolution. Please read this Arbitration Agreement carefully. It is part of your contract with Party and affects your rights. It contains procedures for MANDATORY BINDING ARBITRATION AND A CLASS ACTION WAIVER. (a) Applicability of Arbitration Agreement. All claims and disputes (excluding claims for injunctive or other equitable relief as set forth below) in connection with the Terms or the use of any product or service provided by the Party that cannot be resolved informally or in small claims court shall be resolved by binding arbitration on an individual basis under the terms of this Arbitration Agreement. Unless otherwise agreed to, all arbitration proceedings shall be held in English. This Arbitration Agreement applies to you and the Party, and to any subsidiaries, affiliates, agents, employees, predecessors in interest, successors, and assigns, as well as all authorized or unauthorized users or beneficiaries of services or goods provided under the Terms. (b) Notice Requirement and Informal Dispute Resolution. Before either party may seek arbitration, the party must first send to the other party a written Notice of Dispute (“Notice”) describing the nature and basis of the claim or dispute, and the requested relief. A Notice to the Party should be sent to: 1017 L Street #294, Sacramento, California 95814. After the Notice is received, you and the Party may attempt to resolve the claim or dispute informally. If you and the Party do not resolve the claim or dispute within thirty (30) days after the Notice is received, either party may begin an arbitration proceeding. The amount of any settlement offer made by any party may not be disclosed to the arbitrator until after the arbitrator has determined the amount of the award, if any, to which either party is entitled. (c) Arbitration Rules. Arbitration shall be initiated through the American Arbitration Association (“AAA”), an established alternative dispute resolution provider (“ADR Provider”) that offers arbitration as set forth in this section. If AAA is not available to arbitrate, the parties shall agree to select an alternative ADR Provider. The rules of the ADR Provider shall govern all aspects of the arbitration, including but not limited to the method of initiating and/or demanding arbitration, except to the extent such rules are in conflict with the Terms. The AAA Consumer Arbitration Rules (“Arbitration Rules”) governing the arbitration are available online at www.adr.org or by calling the AAA at 1-800-778-7879. The arbitration shall be conducted by a single, neutral arbitrator. Any claims or disputes where the total amount of the award sought is less than Ten Thousand U.S. Dollars (US $10,000.00) may be resolved through binding non-appearance-based arbitration, at the option of the party seeking relief. For claims or disputes where the total amount of the award sought is Ten Thousand U.S. Dollars (US $10,000.00) or more, the right to a hearing will be determined by the Arbitration Rules. Any hearing will be held in a location within 100 miles of your residence, unless you reside outside of the United States, and unless the parties agree otherwise. If you reside outside of the U.S., the arbitrator shall give the parties reasonable notice of the date, time and place of any oral hearings. Any judgment on the award rendered by the arbitrator may be entered in any court of competent jurisdiction. If the arbitrator grants you an award that is greater than the last settlement offer that the Party made to you prior to the initiation of arbitration, the Party will pay you the greater of the award or $2,500.00. Each party shall bear its own costs (including attorney’s fees) and disbursements arising out of the arbitration and shall pay an equal share of the fees and costs of the ADR Provider. (e) Time Limits. If you or the Party pursue arbitration, the arbitration action must be initiated and/or demanded within the statute of limitations (i.e., the legal deadline for filing a claim) and within any deadline imposed under the AAA Rules for the pertinent claim. (f) Authority of Arbitrator. If arbitration is initiated, the arbitrator will decide the rights and liabilities, if any, of you and the Party, and the dispute will not be consolidated with any other matters or joined with any other cases or parties. The arbitrator shall have the authority to grant motions dispositive of all or part of any claim. The arbitrator shall have the authority to award monetary damages, and to grant any non-monetary remedy or relief available to an individual under applicable law, the AAA Rules, and the Terms. The arbitrator shall issue a written award and statement of decision describing the essential findings and conclusions on which the award is based, including the calculation of any damages awarded. The arbitrator has the same authority to award relief on an individual basis that a judge in a court of law would have. The award of the arbitrator is final and binding upon you and the Party. (g) Waiver of Jury Trial. THE PARTIES HEREBY WAIVE THEIR CONSTITUTIONAL AND STATUTORY RIGHTS TO GO TO COURT AND HAVE A TRIAL IN FRONT OF A JUDGE OR A JURY, instead electing that all claims and disputes shall be resolved by arbitration under this Arbitration Agreement. Arbitration procedures are typically more limited, more efficient and less costly than rules applicable in a court and are subject to very limited review by a court. In the event any litigation should arise between you and the Party in any state or federal court in a suit to vacate or enforce an arbitration award or otherwise, YOU AND THE COMPANY WAIVE ALL RIGHTS TO A JURY TRIAL, instead electing that the dispute be resolved by a judge. (l) Survival of Agreement. This Arbitration Agreement will survive the termination of your relationship with Party. (m) Small Claims Court. Notwithstanding the foregoing, either you or the Party may bring an individual action in small claims court. (p) Courts. In any circumstances where the foregoing Arbitration Agreement permits the parties to litigate in court, the parties hereby agree to submit to the personal jurisdiction of the courts located within Sacramento County, California, for such purpose. 10.3 Export. The Site may be subject to U.S. export control laws and may be subject to export or import regulations in other countries. You agree not to export, reexport, or transfer, directly or indirectly, any U.S. technical data acquired from Party, or any products utilizing such data, in violation of the United States export laws or regulations. 10.4 Disclosures. Party is located at the address in Section 8.8. If you are a California resident, you may report complaints to the Complaint Assistance Unit of the Division of Consumer Product of the California Department of Consumer Affairs by contacting them in writing at 400 R Street, Sacramento, CA 95814, or by telephone at (800) 952-5210. 10.5 Electronic Communications. The communications between you and Party use electronic means, whether you use the Site or send us emails, or whether Party posts notices on the Site or communicates with you via email. For contractual purposes, you (a) consent to receive communications from Party in an electronic form; and (b) agree that all terms and conditions, agreements, notices, disclosures, and other communications that Party provides to you electronically satisfy any legal requirement that such communications would satisfy if it were be in a hardcopy writing. The foregoing does not affect your non-waivable rights. 10.6 Entire Terms. These Terms constitute the entire agreement between you and us regarding the use of the Site. Our failure to exercise or enforce any right or provision of these Terms shall not operate as a waiver of such right or provision. The section titles in these Terms are for convenience only and have no legal or contractual effect. The word “including” means “including without limitation”. If any provision of these Terms is, for any reason, held to be invalid or unenforceable, the other provisions of these Terms will be unimpaired and the invalid or unenforceable provision will be deemed modified so that it is valid and enforceable to the maximum extent permitted by law. Your relationship to Party is that of an independent contractor, and neither party is an agent or partner of the other. These Terms, and your rights and obligations herein, may not be assigned, subcontracted, delegated, or otherwise transferred by you without Party’s prior written consent, and any attempted assignment, subcontract, delegation, or transfer in violation of the foregoing will be null and void. Party may freely assign these Terms. The terms and conditions set forth in these Terms shall be binding upon assignees. 10.7 Copyright/Trademark Information. 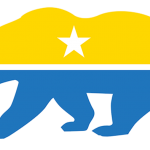 Copyright © 2017 California National Party. All rights reserved. All trademarks, logos and service marks (“Marks”) displayed on the Site are our property or the property of other third parties. You are not permitted to use these Marks without our prior written consent or the consent of such third party which may own the Marks.